Traditional telephone systems do not give you the flexibility of a Voice over Internet Protocol networked office. Being able to have phones anywhere in the world is a huge asset. There are downsides though…Call centers are now working with QoS (Quality of Service) systems but the base network requirement remains the same. We recommend a minimum of a Category 6 cable dropped to each desk. Our team uses a color coding of blue for network cables and white for VOIP cables and keystone jacks in the patch panel. This simple system allows an easy and effective way to identify the network that a specific jack or cable belongs to. All faceplates, patch panels and wires are tagged for easy identification for maintenance. Structured cabling with Cat6 network cable. 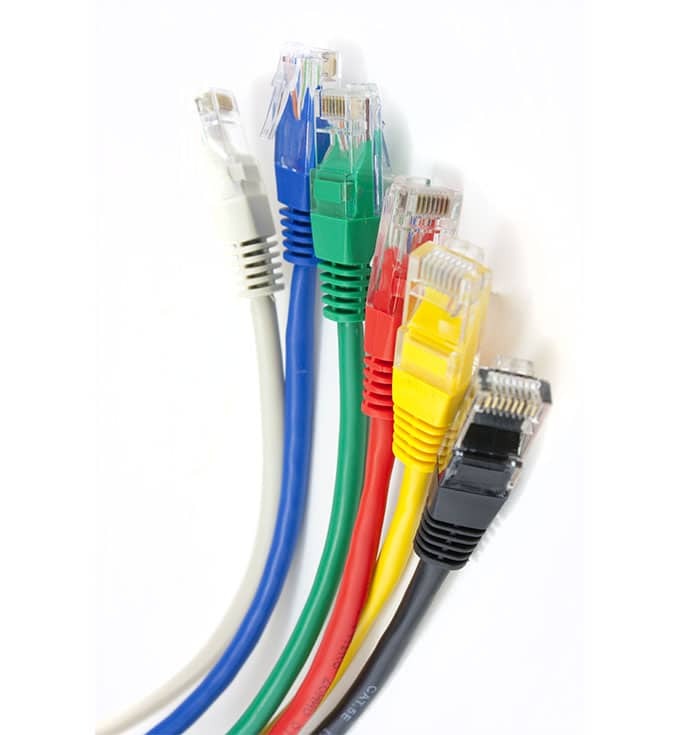 Telephone cabling is the backbone of your VoIP systems. VoIP uses your existing internet service to access an online server. The right cable guarantees quality calls. Moving? Our team of licensed electricians can cable your new facility in a timely manner. Lines labeled and tested prior to delivery. Cable Installation, Electrical, Data, CCTV and Voice network solutions. Get your free quote today. As licensed electricians we are required to have construction & contractors insurance by the CCQ (Commission de la construction du Québec). Insuring your commercial or residential project is properly protected. 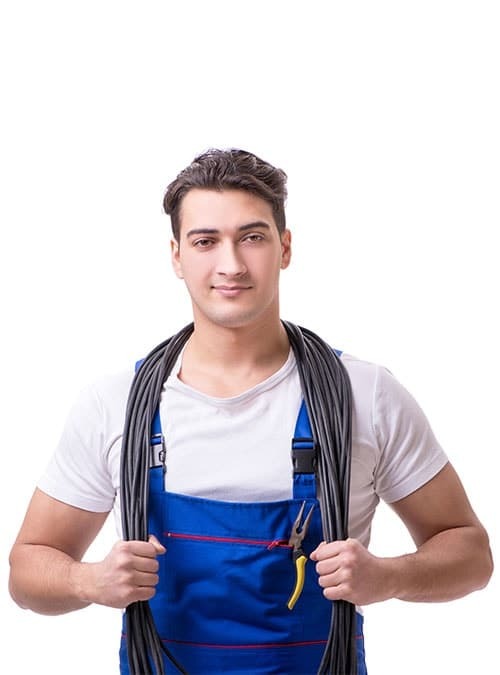 Our Electrical Contractor Bond is required by federal, provincial and municipal governments to guarantee compliance with regulations and bylaws relating to Electricians. You are ensured that our business meets and surpasses all government rules & regulations. for networks and setting up the patch panels in the server room. conduit and double keystone faceplates when terminating our wiring. With the digitization of telecommunications comes challenges in data infrastructure that we at Montreal IT Support address. Consulting on VoIP and Data cabling available. High voltage wiring requires that our staff get both their electrical and CCQ licences. With 3 generations of electricians and 50 years of history we will be around to service your network. Our team is ready to install 1 or 1000+ VOIP cables for the most demanding of call centers. We test and warranty our work for 1 year. Giving peace of mind to IT managers and contractors.